If you’re like us, you’ve got lots of things on your to do list. 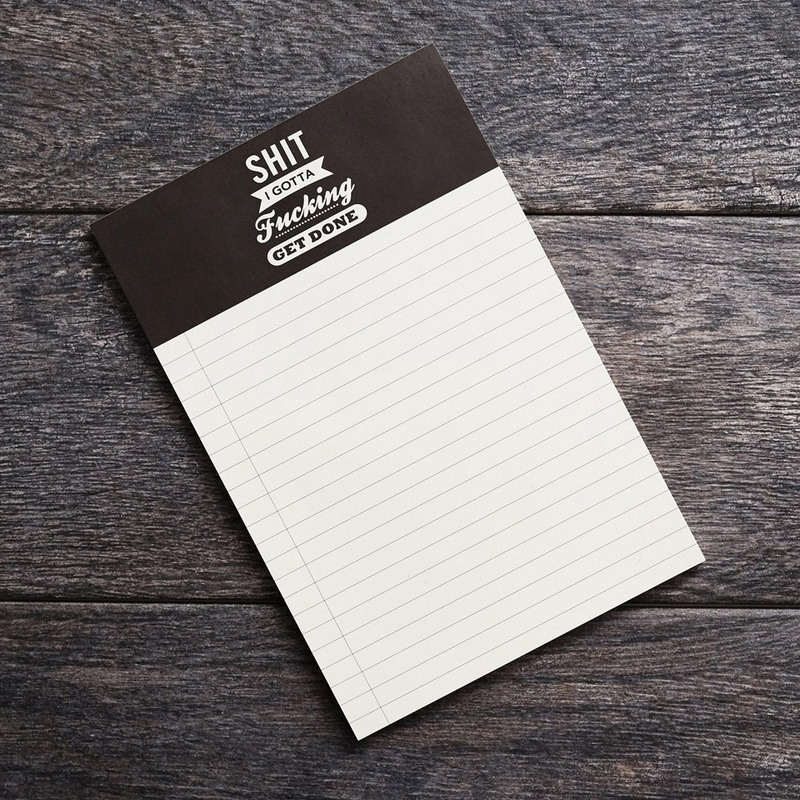 Keep track of the most important stuff with these Sh*t I Gotta F*cking Get Done notepads. Each 6″ x 9″ notepad has 50 lined pages for you to scribble down your tasks on. Sold as a pack of two.